Since 2002, I have publicly written of every imaginable reason why Precious Metals will ultimately become the most powerful bull markets of our lifetimes. 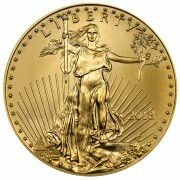 Not the best “investments” – mind you – as PHYSICAL gold and silver are not “investments,” but money. And for that matter, even “bull market” doesn’t appropriately describe the market for items that sit inertly amidst a bear market in the fiat currencies they’re valued in. Irrespective, no matter how you term it, PM purchasing power was poised to hit all-time highs when the gold standard was abandoned in 1971; set in stone when the U.S. dollar peaked in 2001. 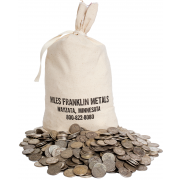 During this period, I have gone to great lengths to describe both qualitative and quantitative reasons why the world’s SEVEN BILLION residents would increase PM purchases at rates far greater than the meager supply of these, the most “precious” of metals. Back then, I could have never imagined that in 2013, these arguments would be so much more dramatically powerful, nor that the gold Cartel could have done so much damage to the global economy. In other words, I’m amazed they haven’t been defeated yet – as ALL such attempts to suppress REAL MONEY have throughout history; but more so, how helpless the global economic outlook has become. And, for that matter, the concomitant political and social outlooks. 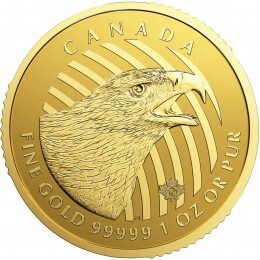 There has been speculation about the price of gold dropping below $1,000. I don’t care what anybody says, that’s not going to happen. This would put gold so far below the cost of production that many large mining companies would simply shut down. Many major mining companies aren’t making any money even at current prices. They literally would be hemorrhaging money at much lower gold prices. And as for the aforementioned “Harry Dent,” a newsletter writer who lures people into paying for his drivel via sensationalistic “memes,” let me just put the “Will Harry Dent be right?” fears to rest. To start, here’s his November 2004 prediction that the Dow will be 40,000 – and the NASDAQ 20,000 – by 2009; via his “meme” of the time, the “New Millionaire’s Economy.” Last I looked, the Dow ended 2008 at 8,000 – and the NASDAQ at 1,500 – amidst an epic economic and market collapse that wiped out essentially any remaining wealth Americans still salvaged after the 2000-02 “tech wreck.” And the icing on the cake – in this case, being miserably wrong in the other direction; here’s his September 2011 call that the Dow will fall to 3,000 in 2013. Well, he’s still got three months left to be right; but at 15,000 today, it doesn’t appear likely. In other words, STOP LISTENING to fear mongers; especially those that claim to have “proprietary” fundamental or technical analysis. I ASSURE you they don’t; and trust me; I’m A LOT smarter than any of them – as are David Schectman, Bill Holter, and ALL the “good, smart” people I regularly reference. Golden Week lasts eight whole days; and per the article, you can be sure PHYSICAL demand will continue to surge when the markets re-open Wednesday. 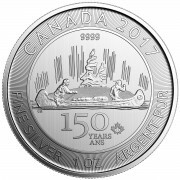 Frankly, it’s nothing short of miraculous how the Cartel has kept the game going throughout 2013; pushing PAPER gold and silver prices down 20% and 30%, respectively, despite RECORD PHYSICAL DEMAND and PREMIUMS in the Eastern Hemisphere; not to mention, RECORD U.S. Mint sales of Silver Eagles, and the highest sustained U.S. silver premiums since 2008. How have they done it? With NAKED SHORTING, of course; and draining of any remaining PHYSICAL the U.S. Treasury may have had – which frankly, could not be much. This is why COMEX, LBMA, and GLD inventories have been plunging; and why shortly, their last shreds of credibility will be gone. With the global economic collapse ongoing at breakneck speed – with not a chance of reversal until TENS OF TRILLIONS of bad debt is written off – the trends depicted in the “gold fever” article above will continue to multiple, exponentially. Each night, I sleep like a baby knowing I have PROTECTED myself against the inevitable currency collapse that follows ALL attempts to replace REAL MONEY by fiat. The current system is in its death throes – hence the constant Cartel attacks. However, following death throes is DEATH.